The Mount Douglas Healthy Lunch program will be offering fresh and delicious SUSHI on Wednesday for semester two. There are 4 sushi options to choose from and all are at very reasonable prices. 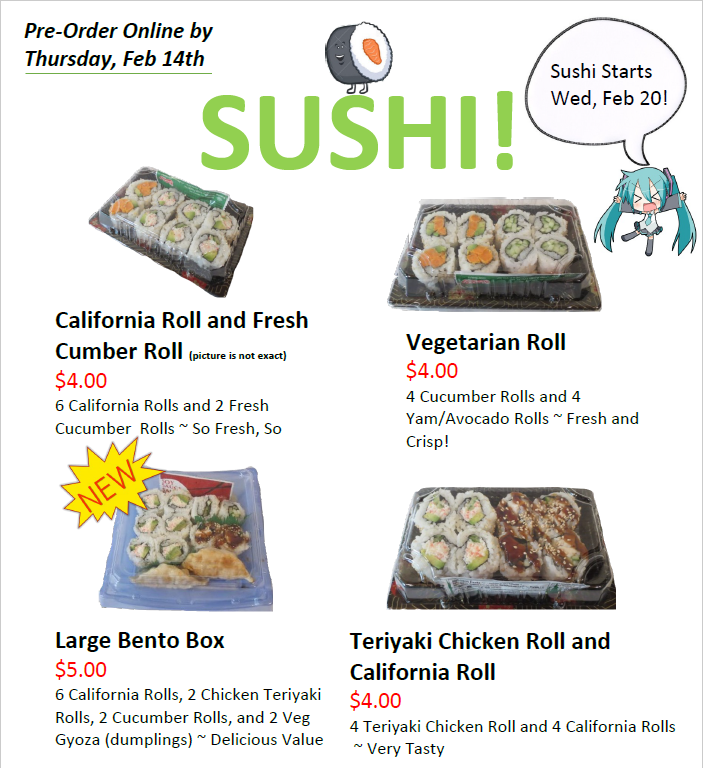 Enjoy semester two sushi fresh at Mount Douglas every Wednesday! Please click on this live link to take you to our ONLINE payment forms. Contact Mrs. Tess Brown at tebrown@sd61.bc.ca. you or bring payment directly to the Mount Douglas accounts office.